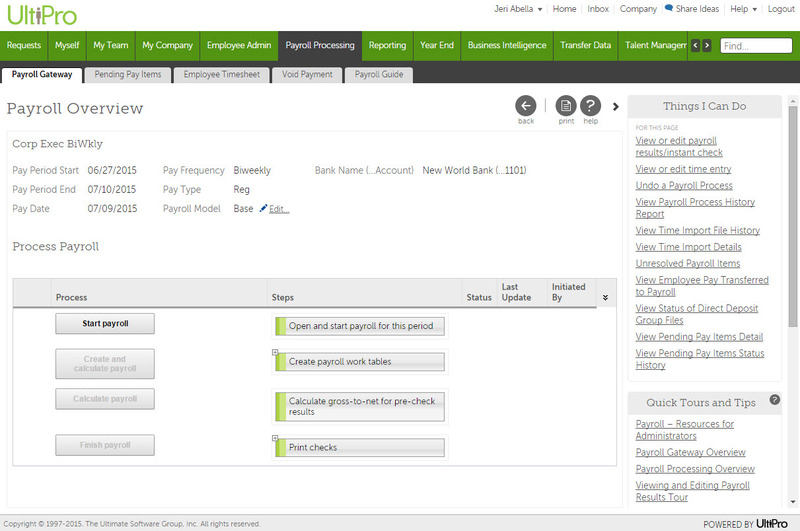 Check out our Payroll Product Tour. For fast and efficient processing, UltiPro delivers a Payroll Gateway – one-click access to all of your payroll data. 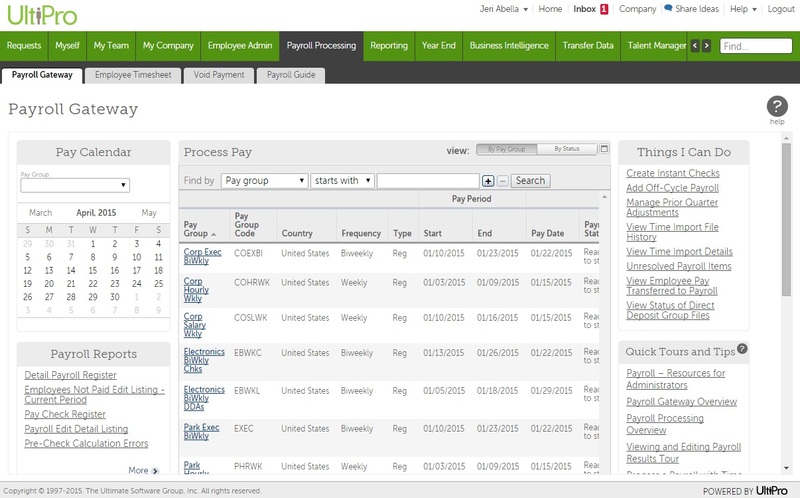 From the Payroll Gateway, you can view your payroll calendar and pay dates, select a pay group for payroll processing, check payroll setup, review processing status and payroll results, and access reports. Plus, you can simplify the payroll process, configuring your own payroll models by bundling a series of payroll steps into one. UltiPro delivers all U.S. federal, state, local and Canadian federal and provincial/territorial tax updates automatically every quarter as part of the core solution, so you don’t have to pay for or work with a third-party tax service. UltiPro’s comprehensive tax management system helps you handle tax compliance and computations, including multi-state taxing rules and reciprocity, as well as taxation wage accumulation and withholding requirements. To reduce the complexities and errors associated with assigning taxes in the United States and Canada, UltiPro includes Smart Tax Search. Embedded into the solution, Smart Tax Search automatically determines the correct federal, state, and local payroll tax, based on where an employee lives and works in the U.S. In Canada, Smart Tax Search recommends federal and provincial/territorial taxes. When processing payroll for employees outside of the U.S. and Canada, UltiPro’s open and configurable cloud platform and localizations enable you to securely integrate to the global payroll service provider of your choice. To see some real world examples of companies that have increased efficiencies with UltiPro Payroll, check out our Customer Stories.